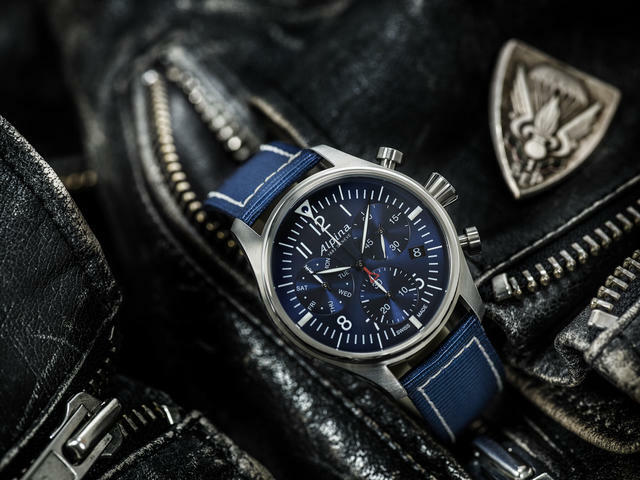 Since its debut seven years ago, Alpina’s Startimer Pilot collection has endeared itself to aficionados of affordable aviation watches for several reasons. 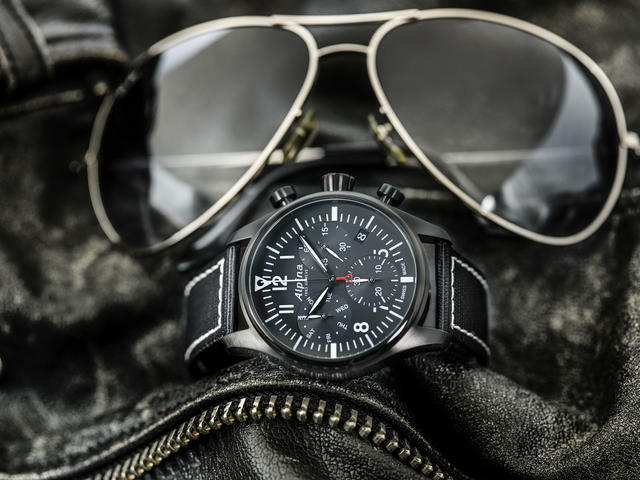 Most critically, the 42mm line of classically styled three-hand and chronograph pilot designs look great on any moderately sized wrist. 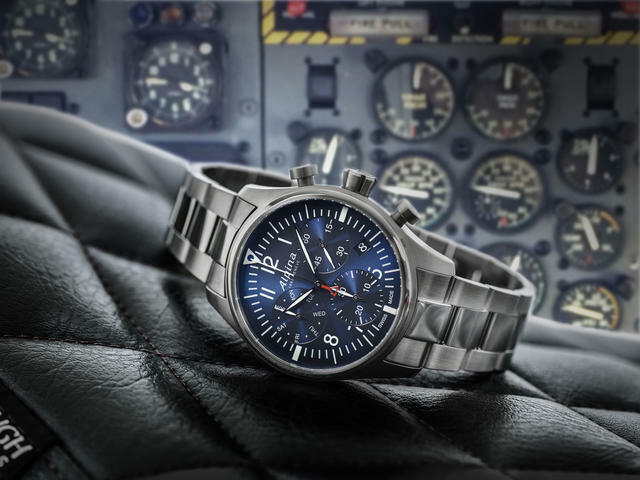 Even better, they are easy to read – the defining characteristic of any pilot model worthy of the cockpit. 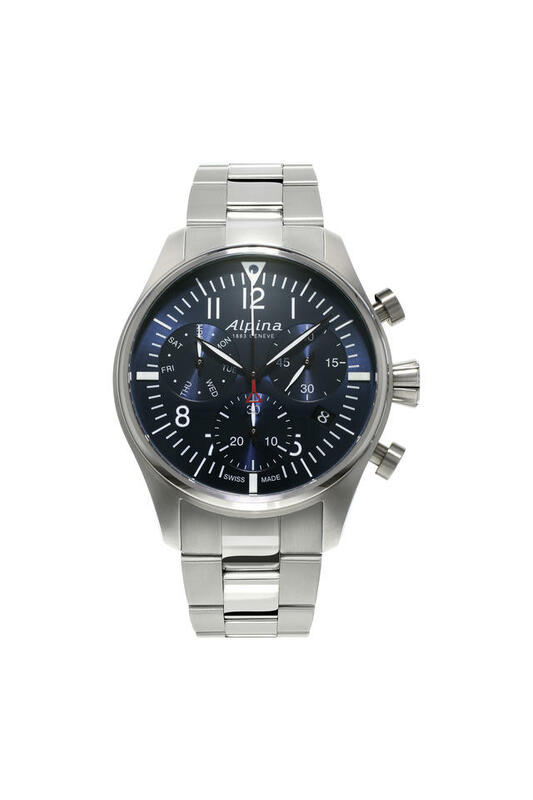 Ahead of Baselworld 2018 Alpina extends the quartz chronograph offerings within this quartz collection (we expect additions to the automatic collection in late March), and does so with style and a nice range of colors, straps and bracelets. New to the line are five models sporting three different styles. 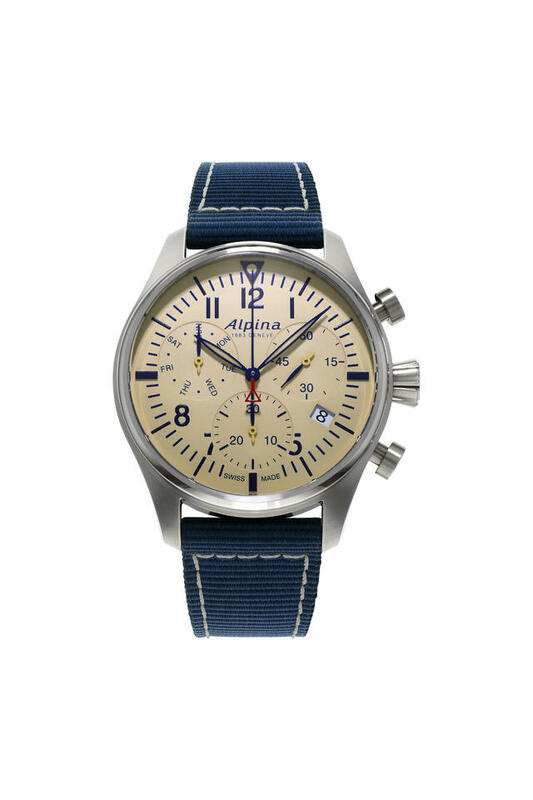 The first is available in a sunray navy blue dial with a matching blue nylon strap or a stainless steel bracelet. 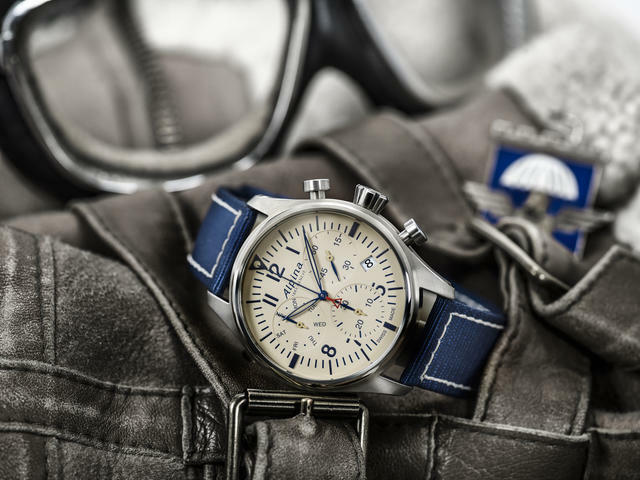 The second showcases a creamy beige dial also with a choice of either blue nylon strap or a stainless-steel bracelet. Finally, the third is an all-black version. 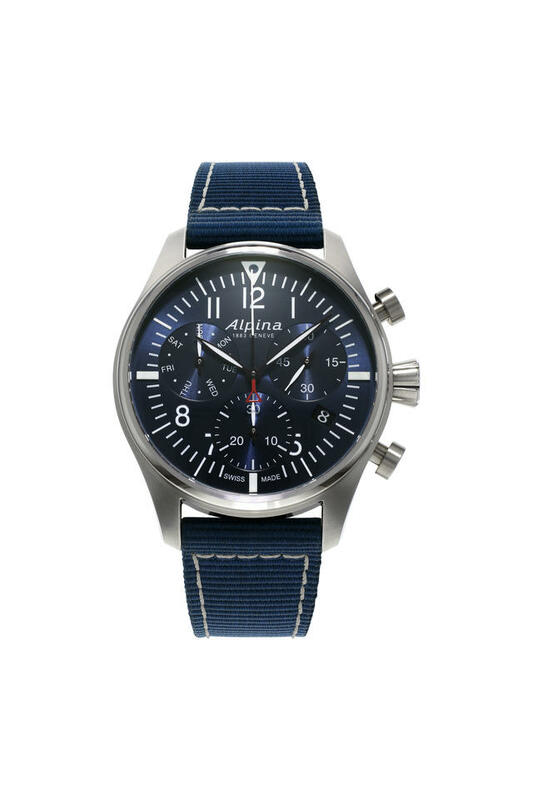 All three new Startimer Pilot Chronograph Quartz watches have a 42mm case with a sapphire crystal and a specially engraved case-back with the Alpina logo. Each dial is decorated with white or blue luminous indexes and hand-polished hands. Three counters can be seen at 3, 6 and 9 o’clock displaying the small seconds counter, the 30-minute counter and days of the week respectively. 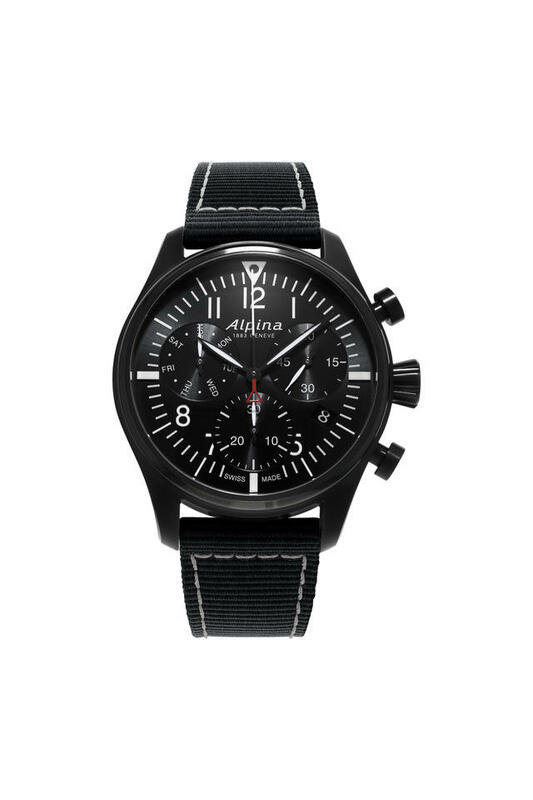 And while not every collector approves of adding a date to this type of pilot design, Alpina has done it here with a relatively unobtrusive date window at 4 o’clock, which offers a clear choice when compared to the Big Date version of the Startimer Pilot Chronograph already in the Alpina lineup. 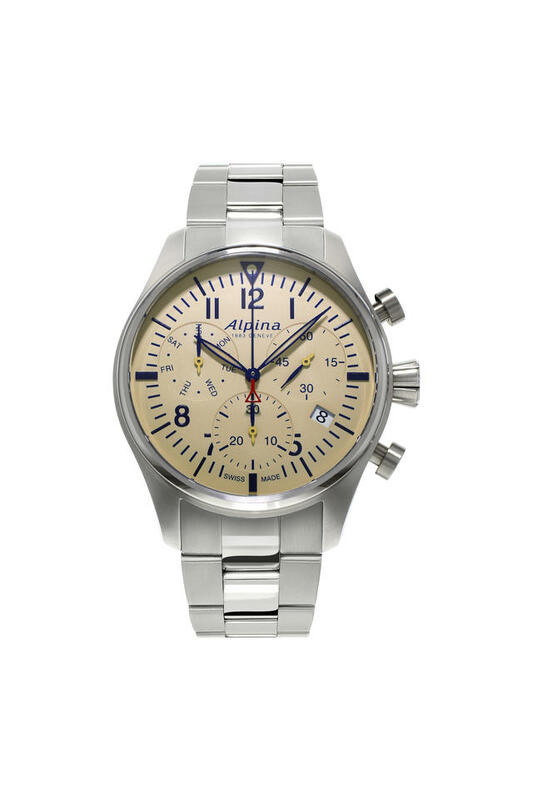 Price: Alpina Startimer Pilot Chronograph Quartz models start at $795. Case: 42mm stainless steel case, sapphire crystal. One model with black PVD coating, and all offer 100M water-resistance, engraved caseback, screw-in crown and caseback.